Liver cancer tumours can either be metastatic (90%) or primary (10%). In this article we will focus on hepatocellular carcinoma (HCC), the main primary liver tumour, and end with a brief discussion of secondary liver cancers. Hepatocellular carcinoma is the sixth most common cancer worldwide and the third leading cause of cancer death.The incidence rates vary significantly across the globe. In China there are 401 cases per 100,000 people, whilst in the UK there are just 13 cases per 100,000 people, the majority of which occur in those over the age of 70 years and 64% of cases occurring in males. HCC arises as a result of a chronic inflammatory process affecting the liver. The aetiology of the inflammation varies, yet worldwide it is most commonly due to viral hepatitis. Other common causes for HCC are chronic alcoholism, hereditary haemochromatosis, primary biliary cirrhosis (PBC), and aflatoxin (a toxic fungal metabolite that can be found on cereals and nuts). In developing countries, viral hepatitis accounts for around 90% of HCC cases*. HCC is found more commonly among Asian individuals, secondary to childhood infections with hepatitis B, however this is declining due to current vaccination programmes. In the UK, only 16% of cases are thought to arise secondary to hepatitis. *While the combined oral contraceptive pill is known to increase the risk of hepatic adenomas, data remains inconclusive regarding its relationship with malignant disease. The main presenting symptoms of hepatocellular carcinoma are that of liver cirrhosis. This may include vague, non-specific symptoms, such as fatigue, fever, weight loss and lethargy. On examination, an irregular, enlarged, craggy and tender liver is highly suggestive of liver malignancy. 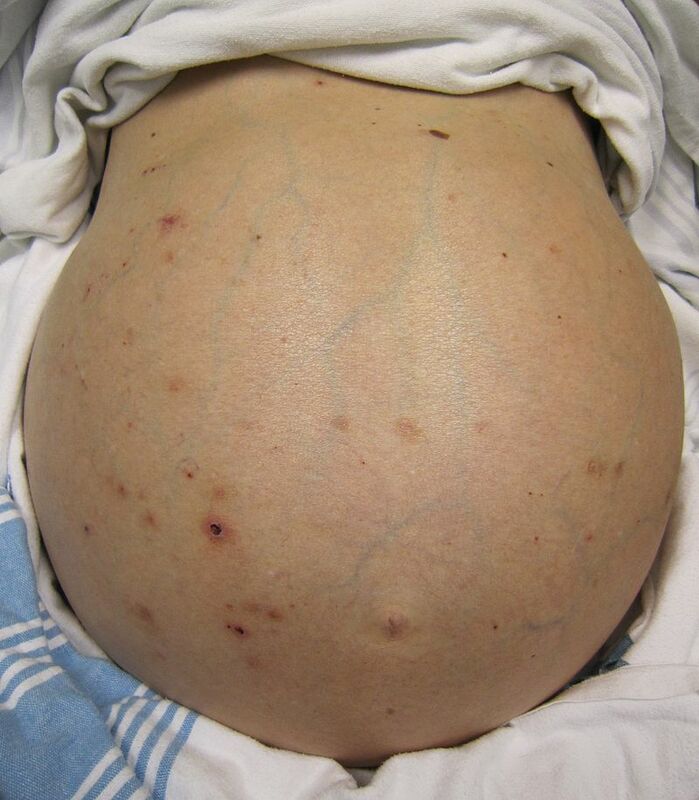 Fig 2 – Ascites, an indicator of late stage liver disease. Other causes of liver cirrhosis (described above). A patient with suspected liver cancer should have initial liver function tests (ALP, ALT, AST*, bilirubin), which may be deranged. Other routine bloods should be taken, which may show low platelets or prolonged clotting associated with liver failure. An alpha fetoprotein (AFP) level should be measured in all suspected cases, as it is raised in 70% of cases. It is also used to monitor treatment response and recurrence. *If AST:ALT ratio >2, likely alcoholic liver disease; if AST:ALT around 1, likely viral hepatitis. Ultrasound is the initial imaging modality of choice. If a mass of >2cm is found with a raised AFP, this is virtually diagnostic. This may then be followed by a staging CT scan for further evaluation. Patients with rising AFP and suggestive US nodules can also undergo MRI liver scanning for further assessment*. If the diagnosis is still in doubt, a biopsy or percutaneous fine-needle aspiration may be performed to confirm, yet is last-resort due to difficulties commonly in this setting of active ascites and/or deranged clotting, and the risks associated with biopsy and tumour-seeding. *MRI scanning and contrast CT angiography may demonstrate a mass with arterial hypervascularisation – a characteristic feature of HCC. The Barcelona Clinic Liver Cancer staging system (BCLC) is the most accepted staging system for HCC. It takes into account the tumour stage, liver function, physical status and cancer related symptoms to provide guidance on what treatment is most suitable. Risk assessment tools, such as the Child-Pugh and MELD scores, can be used to assess the risk of mortality from cirrhosis and to predict potential effectiveness from potential treatment options. The well-known and widely used Child-Pugh score uses parameters of serum bilirubin, albumin, INR, degree of ascites, and evidence of encephalopathy to calculate prognosis of patients with liver cirrhosis. However, recent scores such as the MELD score have been shown to be a better predictor of mortality. The latest MELD score calculator includes parameters of creatinine, bilirubin, INR, sodium, and the use of dialysis (at least twice per week). A MELD score can also be used to predict the likelihood of a patient tolerating a potential liver transplant. Treatment for hepatocellular carcinoma is best organised through a multidisciplinary team, including oncologists, radiologists, hepato-biliary surgeons, and specialist nurses. Surgical resection – the treatment of choice in patients without cirrhosis and with a good baseline health status. Five-year recurrence of HCC post-resection occurs in 50-60% of cases. Fig. 3 – Left lobe liver tumour in a 50 year old male. A) Removal of the tumour; B) The liver after resection. Image-guided ablation is indicated for patients with early HCC (BCLC 0 or A). Ultrasound probes (or microwave probes) are placed in the tumour mass to induce necrosis. Alcohol ablation can also be trialled, involving the injection of alcohol into the tumour, acting to destroy the malignant tissue. It is most effective on small tumours in those with well-functioning livers, also being the treatment of choice in those with small inoperable cancers. 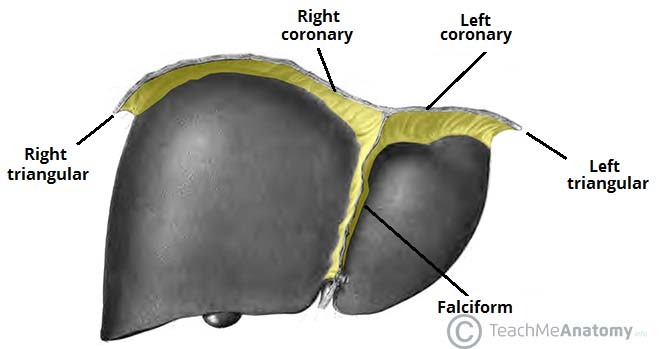 Transarterial Chemoembolisation (TACE) is reserved for patients with BCLC stage B (a large multinodular tumour), whereby high concentrations of chemotherapy drugs are injected directly into the hepatic artery and an embolising agent is then added to induce ischaemia. Radiological techniques are used to selectively inject and embolise the branches of the hepatic artery supplying the tumour, which preserves the majority of the liver. The prognosis of hepatocellular carcinoma depends on the extend of the underlying cirrhosis, as this plays a large role in determining how aggressively the cancer can be treated. Median survival time from diagnosis is around 6 months. Metastatic liver cancer is the most common underlying cause of death in patients with cancer. The most common cancers that metastasise to the liver are those from bowel (via the portal circulation), breast, pancreas, stomach, and lung. Clinical features and investigations are similar to that of HCC. Hepatomegaly and ascites are present in roughly half of patients, alongside non-specific cancer symptoms; patients may be jaundiced or have upper abdominal pain. Bloods may show derangement of LFTs, with ALP almost invariably raised (a sign of biliary obstruction), and ultrasound scanning is often the initial imaging modality of choice. A CT scan may be used secondarily to stage metastases, allowing imaging of the rest of the body and also the opportunity to investigate the source of the metastasis. Biopsy is not advised if the tumour is operable, as the needle tract may lead to seeding of tumour. For the majority of patients with metastatic liver disease, the primary tumour has metastasised to additional sites, which makes surgery a more difficult and less useful option. Oncological and palliative services are often closely involved in the decision making process. Surgery may be indicated in patients with metastases confined to the liver who have their primary tumour under control. Alternative treatment methods include transarterial chemoembolisation or selective internal radiotherapy. A systematic review found no particular surgical method to be the most effective of resecting metastatic colorectal tumours. Which of the following is not a known risk factor for HCC? Which one of the following is not included in calculating the Child–Pugh score? Hepatocellular carcinoma (HCC) cells are mostly supplied by which main blood vessel? What one blood test should be requested to investigate those with suspected liver HCC?